Members of the public are invited to attend a ceremony of Remembrance commemorating all those who have lost their lives in conflict. This year not only marks 100 years since the birth of the RAF, but 100 years since the end of the First World War. We will be remembering those who lost their lives during the First World War, over a 100 years ago, with a weekend of events and activities. On Sunday 11 November there will be a small service followed by a performance from the North London Military Wives Choir. This will take place in Hangar 2, in our First World War in the Air Galleries surrounded by the stories of the men and women who sacrificed their lives to protect our freedom. Over Saturday and Sunday there will also be the chance to make and dedicate your own poppy under our Sunderland Flying Boat. Middlesex University will also be holding very special dance performances in Hangar 2, where our First World War in the Air exhibition is located, to commemorate the events 100 years ago and there will be a special talk about the fighter pilot Albert Ball. The RAF Museum will be holding a Remembrance Service paying respect to those Service men and women who made the ultimate sacrifice during their tours of duty. Please note we have limited seating available. The North London Military Wives Choir will be performing a selection of stirring pieces to honour and remember those who have lost their lives in conflict. 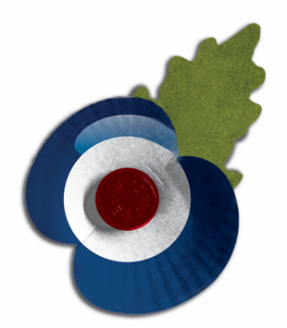 Please join us after our Service to plant poppy seeds outside the First World War in the Exhibition and around our site. Albert Ball was England's greatest WW1 fighter ace at the time of his death in May 1917 with 44 victories to his name. His last mission was flying an RAF SE5 on the Western Front and he was only 20 years old when he died. Clare Paul will explore the life and character of Albert Ball. Dance students and graduates of Middlesex University present a special programme of dance performances to commemorate events from 100 years ago. Performances choreographed by Middlesex University Dance Graduates Emma Potter, Philly Rule and Christina Binney.